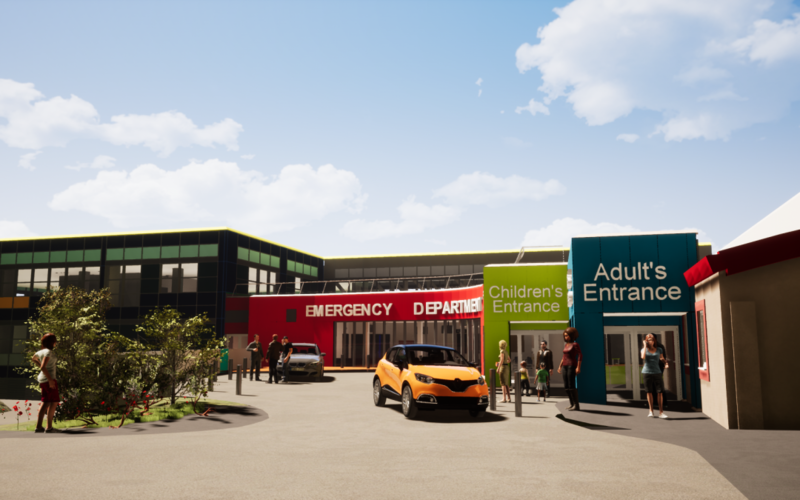 The £4.8 million development will create a dedicated Children’s Emergency Department, increased resuscitation room capacity, enhanced waiting areas and separate emergency vehicle area. Planning approval was granted mid-2013 and the design has recommenced with a start on site expected April 2018. The completion of the project has been delayed due to the partial construction of the extension being used as a temporary Ambulance Assessment unit. The current design now incorporates the future plans for this unit.